Low Priced Ultra High Performance tire from Top Name Brand Firestone. Value Priced Name Brand Performer! 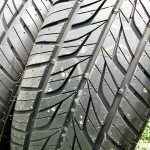 Shop Small Business and $AVE on these Top Name Brand Tires. Get Top Quality here for less! Be the first to review “Firestone Firehawk Wide Oval Indy 500 P235/45R17 97W” Click here to cancel reply.